Learn how to FEEL, CREATE and SUSTAIN the lag and together we'll cut your scores in half! Enjoy clean Visuals that efficiently complement the teaching. Discover the "Lag-o-Metter" used to visually understand and feel the Lag. Create Lag in your swing using innovative and easy tips. Learn the secret in your hands. Clubhead Lag is the true secret of Golf that will take your game to the next level. 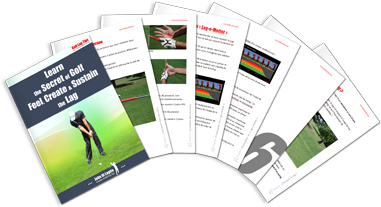 John demonstrates and explains in layman's terms how to create Lag and turn you into a great golfer in no time. 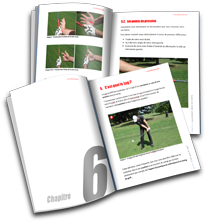 Handcrafted with passion, the 115 pages of this eBook will unleash your golfing potential. Every once in a while, a book comes out and changes just about everything. This is one of those books. John really knows the secret of golf. Being able to create Lag changed my game from night to day. John is a solid 1 digit handicap who is passionate about the game. As a former Tennis pro and renowned team manager he loves teaching and excels in keeping complex things simple and friendly. Download the preview sample (PDF) complete with artwork, table of contents, and several sample pages.